HD initially became involved in Timor-Leste in 2007 in an effort to resolve the crisis between a group of petitioning soldiers (petitioners) and the Government of Timor-Leste. The case of the petitioners, involving charges of alleged discrimination in the national army, was the central trigger for the crisis in Timor-Leste in 2006. Major Alfredo Reinado, who absconded from the army in support of the petitioners at the height of the crisis, had been the focus of a massive manhunt since his escape from a Dili prison in August 2006. HD provided its good offices and was requested to act as a facilitator in a process of dialogue to resolve the confrontation with Major Reinado and his group and the case of the petitioners, which remained unresolved. The 2006 crisis in Timor-Leste was sparked by a group of petitioning soldiers (called the “petitioners”), predominantly from the country’s western districts, who charged their superiors from the east with discrimination in the national army (Falintil-Força da Defesa de Timor Lorosa’e or F-FDTL). The subsequent sacking of nearly 600 petitioners by the Government led to widespread unrest and violence. 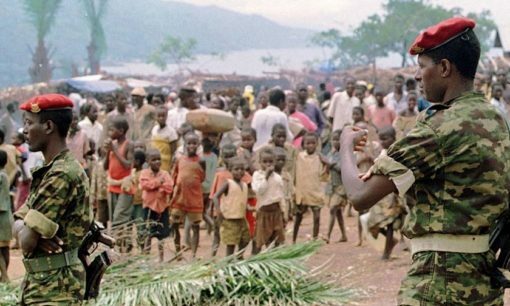 More than 150,000 people were internally displaced and 37 killed in rioting and armed clashes among the national security forces. Most of the violence occurred along ethnic lines, pitting lorosae, people from the country’s eastern districts, against the loromuno from the west. The crisis prompted the resignation of then-Prime Minister Alkatiri and an enhanced UN peacekeeping mission across Timor-Leste. Major Alfredo Reinado was the highest ranking officer to abscond from the F-FDTL at the height of the crisis in support of the petitioners. His involvement in a shootout with F-FDTL soldiers on 23 April 2006 led to two deaths and prompted further rounds of violence. Major Reinado was arrested in July 2006 but escaped a month later with a group of supporters at the end of August. In the following months, Major Reinado became the focus of a massive man-hunt. A failed attempt to capture him in March 2007 led to the killing of 5 of his supporters and increased tension in and around Dili and the western districts; it even threatened to derail crucial presidential elections in April of that year. Although newly-elected President Ramos-Horta halted military action against Major Reinado in June, he remained at large. Major Reinado’s case represented the biggest challenge to national security and stability in a country struggling to contain political and ethnic tensions brought to the fore by the 2006 crisis. The situation was complicated by broad support for the charismatic Major among many loromuno and Timor-Leste’s youth. 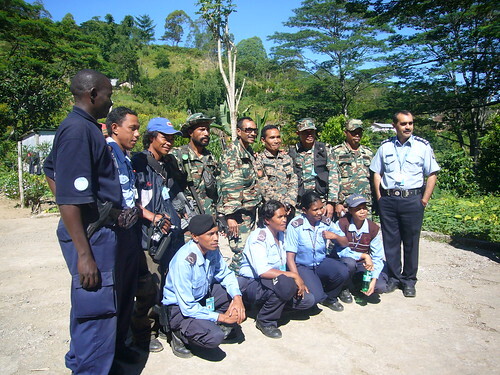 HD became involved in Timor-Leste following two assessment missions to the country in May and June 2007. During these visits, several meetings were held with President Ramos-Horta, as well as other representatives of the Government, the Church, F-FDTL, PNTL, and civil society. HD also met several times with Major Reinado as well as Lt. Gastao Salsinha, the leader of the petitioners. HD ‘s offer of its good offices and to act as a facilitator in a process of dialogue was accepted by all parties. In particular, the President asked HD to facilitate the peaceful resolution of: (i) the confrontation with Major Reinado and his group; and (ii) the case of the petitioners, which remained unresolved. HD opened a small office in Dili in September 2007. 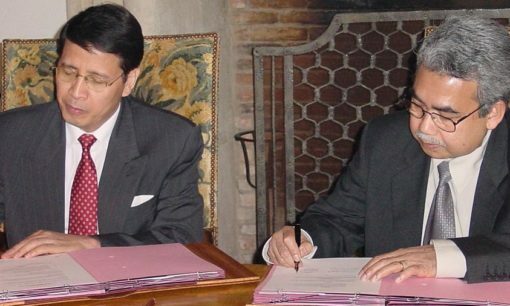 On 19 August 2007, HD facilitated a crucial meeting between Major Reinado and President Ramos-Horta, the first since the latter was sworn in. The meeting was a key confidence-building exercise that allowed both men to discuss at length the events of the past year and a half. It also marked the formal opening of a process of dialogue, something that had been publicly called for by both sides. The meeting paved the way for the establishment of a national Task Force, led by the Secretary of State for Security. Shortly thereafter, in October 2007, a multi-party Directive Council on the dialogue process with Major Reinado was constituted by the Prime Minister. The Directive Council was mandated to coordinate the dialogue process and define its modalities. The Task Force, and then the Directive Council, met regularly through September and October. Other key actors, including the Prosecutor General and the United Nations Police Commissioner, were invited to participate and offer their perspectives on the issues at hand. On 12 October, after particular follow-up by HD , and at the request of the Directive Council, President Ramos-Horta issued a letter guaranteeing freedom of movement for Major Reinado and his group. The letter also reaffirmed the suspension of military actions against the fugitives for the duration of dialogue and stipulated that they would not be arrested during this period. Between October 2007 and January 2008, various rounds of direct talks between the Government and Major Reinado took place. Two field visits to assess possible locations for the cantonment of Major Reinado and his group, the next envisaged step in the process, were also undertaken. On 11 February 2008, President Ramos-Horta and Prime Minister Xanana Gusmao were attacked by armed men outside their respective residences. The attack left President Ramos-Horta seriously wounded, while Prime Minister Gusmao escaped unhurt. Major Reinado was killed during the attack on the President. Following on these dramatic events, HD worked to facilitate the submission to justice of those implicated. Direct negotiations were opened with Lt. Gastao Salshinha, the head of the Petitioners. 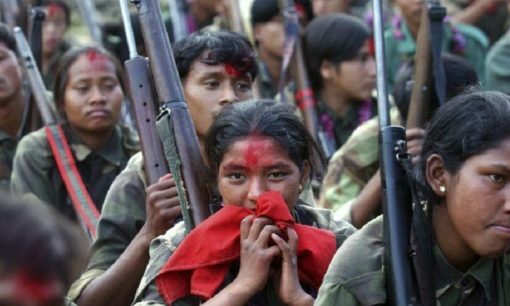 Closely coordinated and conducted with Timor-Leste’s authorities, the initiative bore fruit with the peaceful handover of Lt. Salsinha and his armed supporters on 29 April 2008 in Dili. HD continued to maintain contact with all parties in Timor-Leste. Regular visits were undertaken to the country between July and September 2008 in response to specific requests for its support to fresh dialogue and reconciliation efforts. As a result, HD was requested to provide assistance to the Office of the President in designing a National Dialogue Process initiated and convened by President Ramos-Horta. HD signed a Memorandum of Understanding (MoU) to that effect with President Jose Ramos-Horta on 19 November 2008 in Dili, establishing the terms under which HD would provide such assistance. HD provided background papers and research support to the Office of the President on various proposed designs for a national dialogue process. As part of the latter, HD organised jointly with the President’s Office and the Centre of Studies for Peace and Development, a workshop for emerging leaders in Dili, in May 2009. Representatives from the Parliament, the police, the international community and the United Nations attended the event, which was officially inaugurated by President Ramos-Horta. Due to a variety of factors including the lack of trust between the various parties involved and limited donor interest, the proposed national dialogue initiative was unable to make much progress. In light of this, HD suspended its operations in Timor-Leste until further notice. HD wishes to thank the Irish Ministry for Foreign Affairs – Irish Aid for its financial support to this project.